Discover decorating ideas for bedrooms that are simple and inexpensive.You can use items that you already have such as scarves. Scarves have vibrant colors with different beautiful designs and they could perfectly create a wonderful effect to your room. If you have empty frames at home, together with scarves, it can make a artwork on the wall. Decorating with scarves on a frame is one of the easiest yet creative things to do. 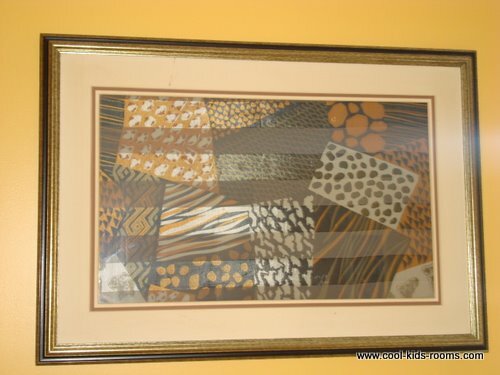 Replace pictures from the frame and add style to it by using scarves. Courtesy of Suzana Catal. Picture replaced with scarf. Use scarves to drape them over lampshades. Dressing your lampshades with scarves having bright colors will give extra color to the light it gives off. Scarves can be made as table runner. All you have to do is sort scarves by colors and size. Choose those with complementary colors and same sizes to make nice table runner. You can place them on top of your study or work table. Create a sling by stringing together scarves and tying them together with knots on the corner. This could hold display of stuffed toys. This is not only creative, but also functional. Another wall display in decorating with scarves is the use of hats. Surround a hat or two with scarves and hung them on walls of your room. 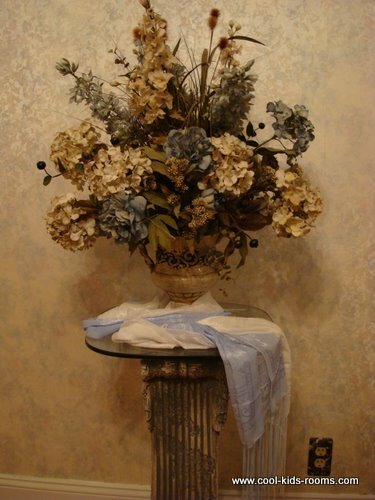 Use scarves as accent by placing them on top of the dresser or bedside table. Drape scarves over the arms of a chair that you have. It adds extra attraction and color to plan or wood chair. If your room is quite big and it is where you work as well, you can use bandanas as separator or divider. This gives your room two functionalities, one for relaxation and one for work. This is good idea to separate time for work and time for rest. 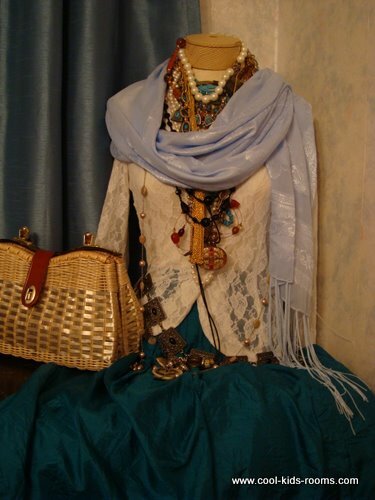 If you have a mannequin placed inside your room as decoration, you can make it look stunning and phenomenal by dressing it up with the use of the scarves. You can place them on the neck, arms or waist. Another decorating ideas for bedrooms with scarves are your pillows. If you have plain fabric of bed sheet and pillows, you can spruce them a little bit by adding additional colors on the pillows and raffles on the edge of the bed cover. If you have ceramic vases displayed in your room that looks elegant but not that colorful, a bright bold colored bandana would make it even look more elegant. You can tie the bandana on the neck or create bows for extra attraction. 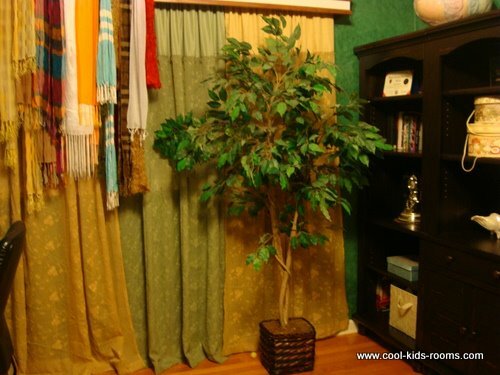 And last on the decorating ideas for bedrooms is to use scarves as window treatments. Walls look for attractive with windows that has curtain valance made up scarves. There are tons of decorating ideas for bedrooms that you can create with scarves. Decorating with scarves is not all hard. You just have to awaken your creativeness and let it go along well with the vibrant colors and amazing designs of the scarf itself. Decorating ideas for bedrooms are simple and inexpensive for there are new scarves that are sold from thrifty stores. Do you have a Comment,Picture, Story or Idea? Share It!